Alyson and Lucas were married in Clearwater, but had their wedding ceremony at the Safety Harbor Resort and Spa. This 22-acre resort and spa is a historic landmark with natural mineral springs running under the grounds. It's 1.6 miles from Philippe Park and a 19.1-mile drive from Tampa. This image was taken at the end of the couple's wedding reception. We took Alyson and Lucas into one of the adjacent ballrooms where there were no guests to snap this dramatic wedding image. 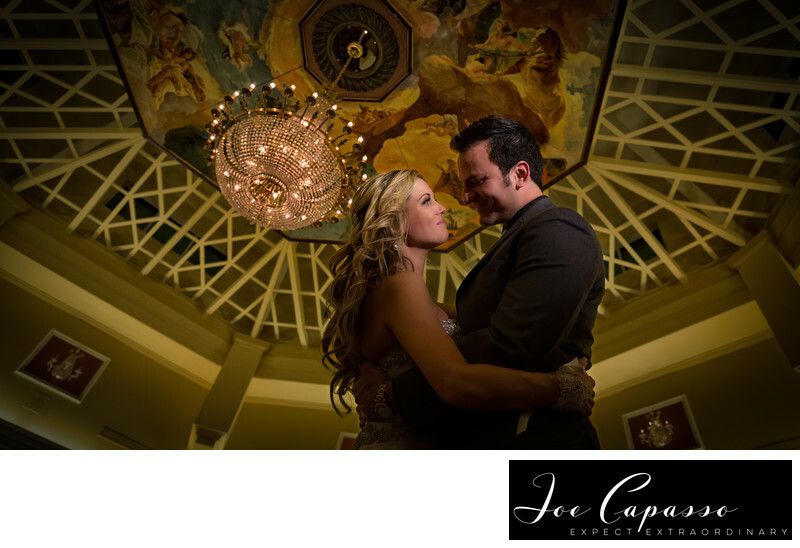 The Safety Harbor Resort and Spa is one of the more popular wedding venues in the nearby Tampa area. Keywords: clearwater wedding (3), florida wedding (9), safety harbor resort (3), safety harbor resort wedding (3), tampa wedding (3).